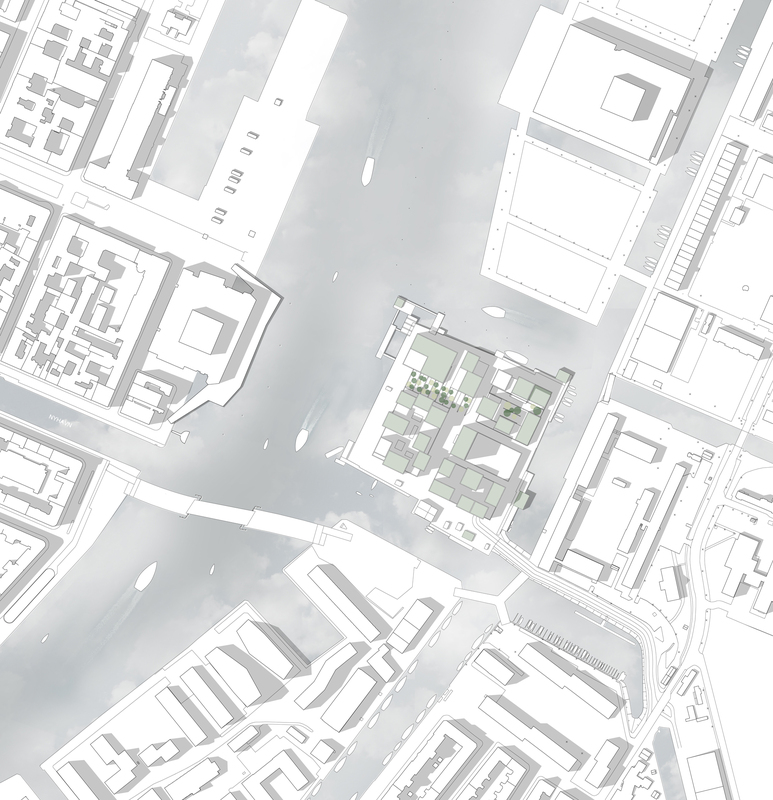 The vision in our competition proposal for the masterplan “Byens Haller” (“the City Halls”) was an open invitation to use Christiansholm (Paper Island) both as a locally anchored neighbourhood and as a destination for the whole city to enjoy. A place where residents, tourists and all other Copenhageners could experience a special and intense mix of locally anchored domestic life, a lively and unspoiled city and a waterside, harbour atmosphere. 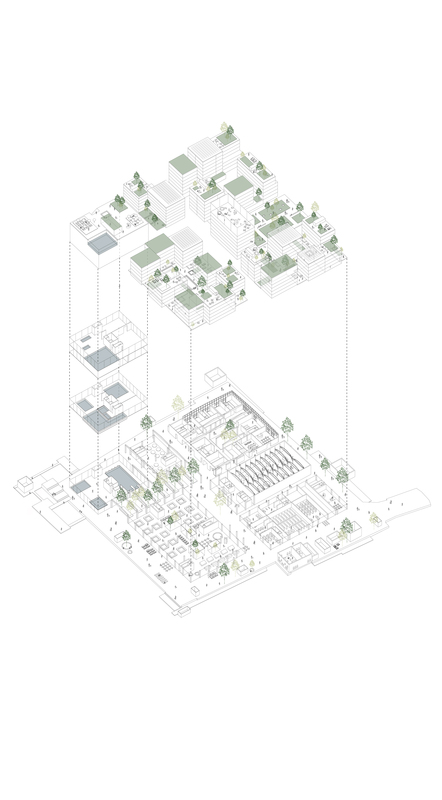 By maintaining the spatial surplus and open structure of the existing halls, a strong frame of reference is created in the development of Paper Island, where self-generating urban life can take hold. In this way, the new city quarter exploits and amplifies the positive existing dynamic atmosphere surrounding the island. 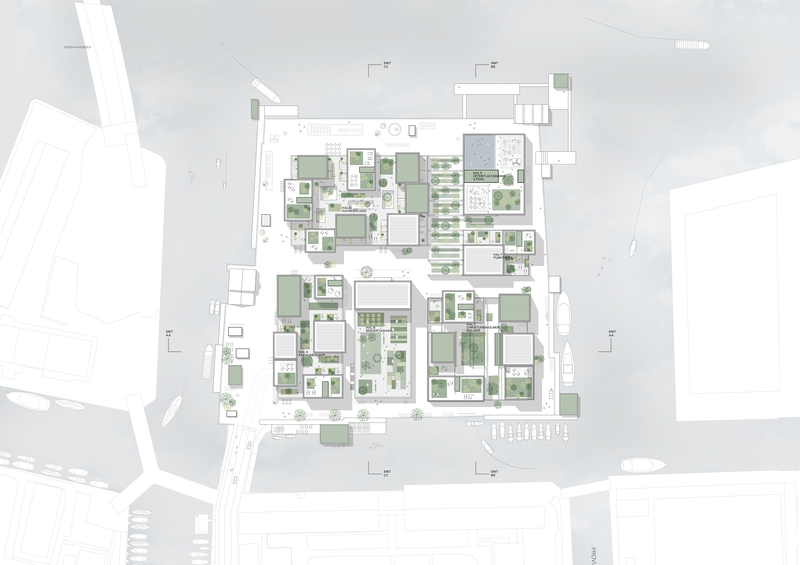 With the logic of the harbour as a starting point – a united surface with rational stacked placement of volumes – the buildings and functions of the island are placed on a simple, functional asphalt surface. A surface of possibilities! 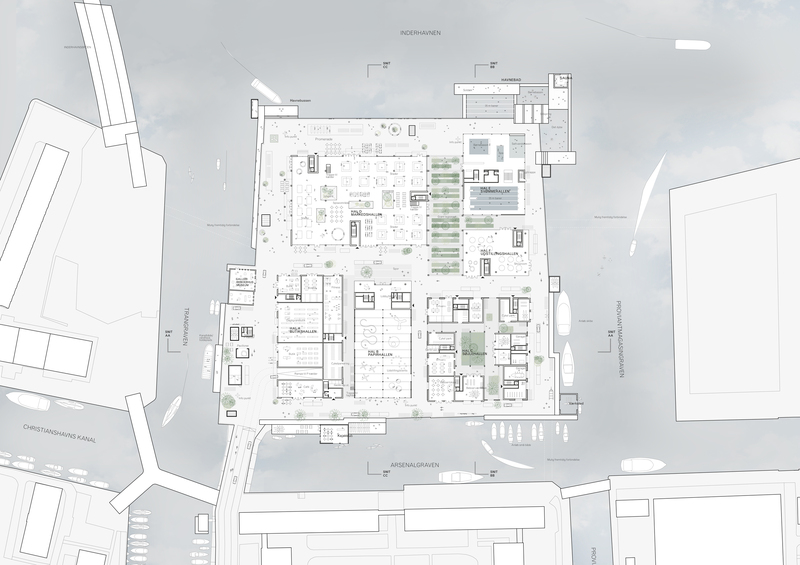 The project incorporates natural, simple and long-lasting materials with references to the aesthetics of the old industrial harbour and its surroundings. Furthermore, the project encompasses micro climatic analysis: The leaps in the facade create roofed pockets of shelter along the facades of the halls, and the structure of the buildings above the halls neutralises the powerful downdrafts of wind at street level. Green outside areas are established as small semi-private community gardens and terraces to achieve specific intimate landscape moments with a carefully curated microclimate and a fantastic view of the harbour.